We will never ever share or spam or send you anything you dont want us to. While there are many “Social Media Management Tools, various software’s and Apps” let’s try and not reinvent the wheel. If you go and search around for the best social media management tools, software, apps or anything else there are many to chose from. There are no lack of social media posters and syndication tools to help you auto-post to the main social media sites like Facebook, Google Plus, Twitter, Pinterest, Instagram – but that’s where it ends. Let’s look at the free version first (that all we need) then we can compare them to the paid version. 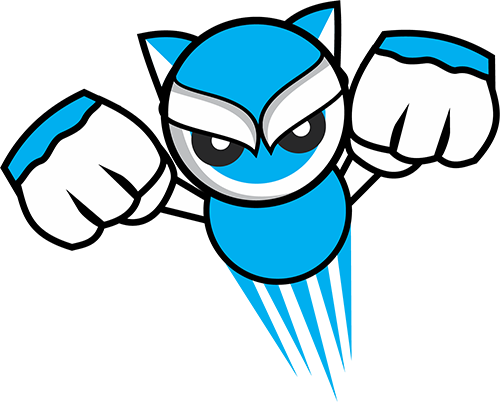 But by using BrowSEO we in can have the same power as the paid versions of Buffer, Hootsuite and Scoop.it all in one. 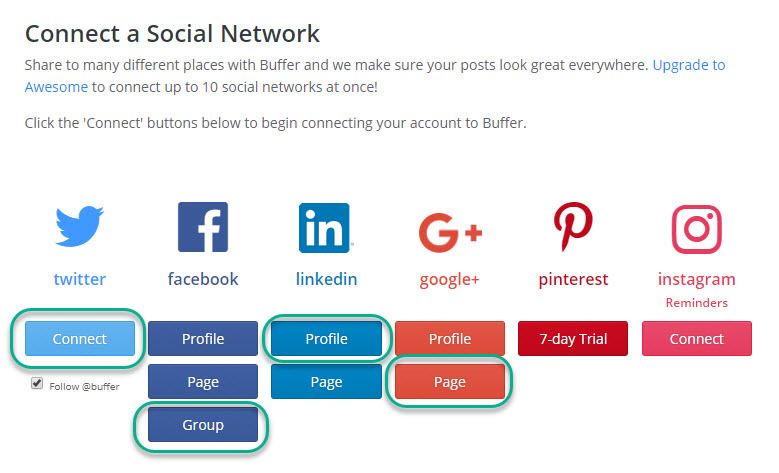 Buffer Free – You can connect to 4 social media accounts except for Pinterest which is a paid service. With the free version of Buffer, you can also set up scheduled posts for all the accounts you have connected to with maximum of 4 connections and a maximum of 10 pre-scheduled posts. Just to be clear – 4 connections as shown in the image and not 4 accounts, if you want to post to them all you must have the paid version of buffer. The paid version of buffer also allows you to import RSS feeds for easy syndication to all the possible connections. The cost is $10 a month for the paid version. The Free version of Scoop.it is very limited to say the least, but can give us exactly what we want when you configure in-line with Buffer or Hootsuite. You can only add 2 measly account connections in the free version so use them wisely! I personally take advantage of the RSS feed available with Tumblr and connect via IFTTT to any WordPress blog making this the trigger of syndication hub as well as a social sharing tool. Then I pick either Pinterest, google plus or fanpage for the other connection. Combining the power of Buffer and Scoop.it we now have the paid version of Buffer with the added syndication capabilities of IFTTT using the Tumblr RSS feed – FREE. The paid version is either $111 a year or for the pro version $804 a year. And then we have Hootsuite – I personally don’t like it or use it a lot, I’m very happy with the formatting of Buffer and Sccop.it (so when you do a post it looks nice across all your social media and syndication to Tumblr, WordPress etc. 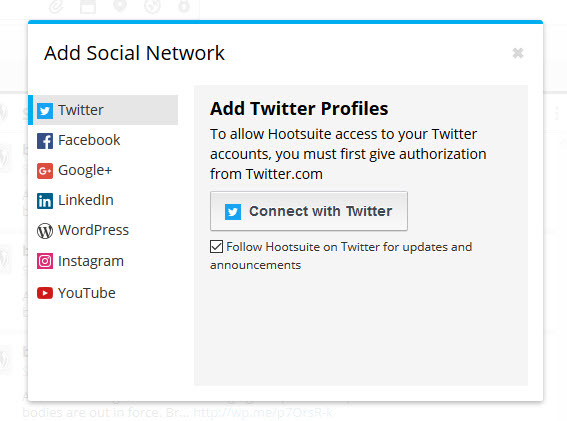 Hootsuite is very basic and raw with its posting, so I like to keep its use to a minimum – I like that you can use it post from within the online console to blogger and WordPress and other places, but if I must use a web panel I will go straight to the actual site and use it as it is meant to be used and not via the very limited capabilities in Hootsuite. They have several different paid plans from the most basic of $19 a month up to $499 per month and more for enterprise. While I’m sure there are many corporate entities using this to manage their social media – at these prices it leaves the rest of us at a bit of a loss. 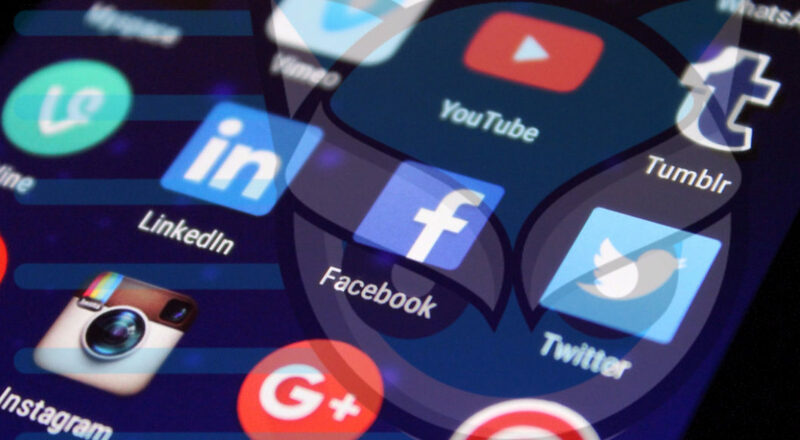 Now what we really need to manage all the social media apps – and that is exactly what I’m going to show you next with BrowSEO. While BrowSEO is not a syndication tool – it is the essence of what a social media management app is. Use BrowSEO to manage the social media management tools! That’s right. 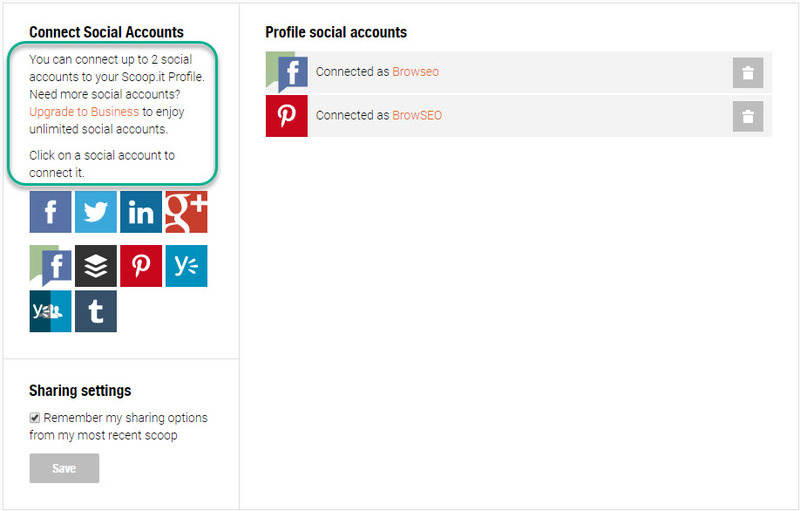 With BrowSEO you can connect AS MANY social media accounts, as many buffer accounts, scoop.it accounts, Hootsuite and stay in control of these from one easy to use and manage console. Just using BrowSEO in this way give you so much more power than any paid account from any of these platforms used for syndication and social sharing. There are so many social sharing tools out there, the last thing we set out to do is to duplicate what’s already out there. Instead we brought together the best syndication management tools and harnessed them to perform across unlimited personas and accounts. BrowSEO Social Media Management Tool – Unlimited Accounts. Using the RSS Feed Reader and Syndicator you can use Buffer, Scoop and Hootsuite and share and post and syndicate directly. Using the Social RSS Feed Reader in BrowSEO gives you the power of being able to instantly sort by popularity so you’re always syndicating and sharing the best content and more importantly you never have to spend time looking and searching for what to share, true social media management. 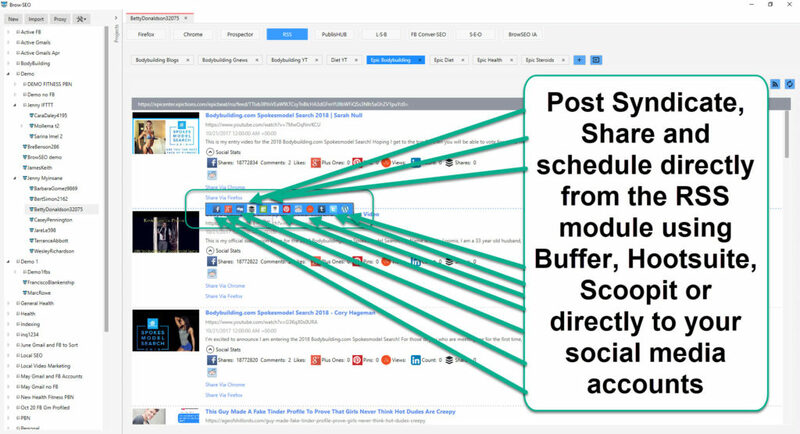 Using Buffer and Hootsuite to schedule posts means you can spend a few minutes a day scheduling your posts across all your different social media personas, the comeback once every week or two to set reschedule some more. A little know tool that has a great FREE feature (as well as paid of course) is quuu.net you can set up social media syndication campaigns for free for up to 3 of your 4 Buffer profiles so that means you can set these up once and have the best curated content always fed through your accounts keeping them fresh and real – this is truly totally hands of social media management and the best tools to do it. Leaving you time for actual marketing, real engagement marketing, rea social media marketing – giving you the freedom to let them work away in the background auto posting hand crafted curated content while you get to run around social media networks having fun engaging and driving traffic. This is how social media management software (https://www.socialmediaexaminer.com/5-social-media-management-tools-to-save-time/) should perform. Syndication can only do so much, it’s the real engagement that will increase your authority and reach. With the hundreds and thousands of auto posters out there, when you have a real voice on social media it tends to scream above and beyond the obvious fake bots that are dominating so much of the social media space. As you can see using these tools in conjunction with getting in there and engaging one to one with your prospects can only lead to more, interest, traffic, leads and ultimately sales. So, the best social media management tool for 2017 I undoubtedly BrowSEO. SEO/SMM/Software Developer/Husband/Father/Cookie Monster - Connect with others in a meaningful and engaging way. Peer to Peer. Not Bot 2 Bot. My personal nightmare - having a social media conversation with a bot. 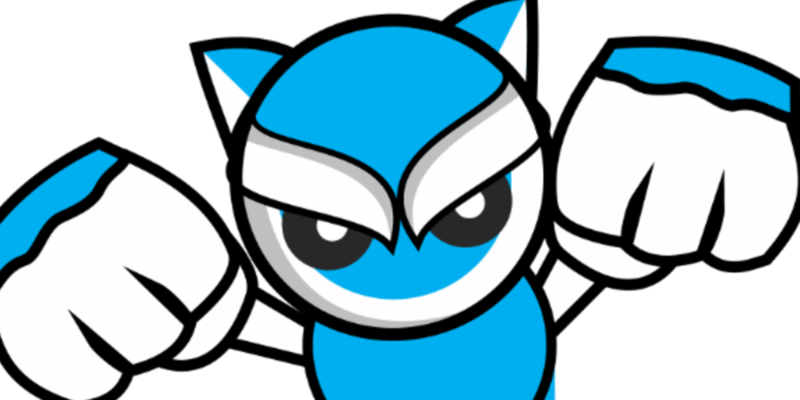 Content Samurai Review Shows How Incredibly Fast and Easy it is to Use! "Their use of BrowSEO increased their SEO and SMM effectiveness by 100%"
Copyright text 2019 by Brow·seo - /'browzio/. ​WANT TO ​​DOWNLOAD BROWSEO LITE? I want to ​​save tons of time doing boring admin and spend more time on the fun stuff! ​DOWNLOAD ​BROWSEO LITE NOW FREE! ​You get access to BrowSEO Lite for ever no need to upgrade, this is not a free trial access just free access to the most popular BrowSEO time saver - Account management and staying organized so you have more time for the fun stuff! Just sign up below and we’ll send you​ logins and instantly log you in on the next page!